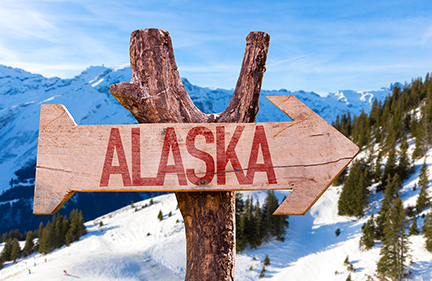 Using Hidden Cameras, Audio Bugs, and GPS Devices: What’s Legal in Alaska? Are You Being Watched? Living in a state that is physical disconnected from the nation as well as with weather harsh enough to prevent a lot of travel within the state can make video chatting and GPS devices incredibly beneficial. These devices make it easier to stay in touch with friends and family while also providing assistance if someone is stranded because of the weather. The problem is that while cameras, audio devices, and GPS devices give us a lot of benefits, they can also be used for the wrong reasons. That can mean that Alaska residents just like you could be watched, recorded, or tracked without their knowledge. When it comes to hidden cameras, audio bugs, and GPS devices in Alaska, what’s legal? How do you know if you’re being watched? Hidden cameras are commonly used both inside and outside of homes. Although they are designed to help residents have peace of mind that someone breaking into their home may hopefully be identified. The problem is that tools invented for good reasons are often misused. Alaska is known as a one-party consent state. For hidden cameras, this means that at least one person involved in a situation must give their consent. For example, if you, your spouse, or your roommate decide to install a hidden camera system in the home, that may be perfectly legal provided that the cameras aren’t placed in areas that have a certain expectation of privacy, such as a bedroom or a bathroom. It is not legal to install or use a hidden camera to monitor or record someone without their permission. For example, you broke up with your significant other and moved into your own place. They use a hidden camera to spy on you. If you’re in a public place, such as a park or restaurant, the legality of using a hidden camera to spy on you may depend on whether the camera also records audio and whether you’re talking to the person with the camera. The same law applies for audio bug use in Alaska: at least one person involved in the conversation must consent to the recording or monitoring of the conversation. If one person records or monitors your conversations without your permission and without the permission of the person you’re talking with, it’s a misdemeanor. In Alaska, GPS device use without the permission of the vehicle owner may be prosecuted as stalking in the second degree because the laws consider the activity to be non-consensual contact. If you believe that someone may be illegally using a hidden camera, audio bug, or GPS device to monitor you, call Spy Catchers now at 1-800-373-8726 to schedule a professional bug sweep of your home, office, and vehicle. How Do You Know If You’re Being Watched? Being stalked without your knowledge. Someone always shows up where you’re at although you never told them where you were going. This isn’t a complete list of signs. If you think that someone may be spying on you, Spy Catchers can help. Call us at 1-800-373-8726 to schedule your bug sweep. If you think that someone may be spying on you, don’t tell anyone. You don’t know for sure how many devices may be present or who may be involved. Try your best to stick to your normal routine. You do not want to tip off the other person. They may remove the devices before you find them and replant them at a later date. Use a safe phone from a safe location to call us. And, yes, your cell phone, computer, tablet, VOIP, email, and landline may also be monitored (and no, the perpetrator doesn’t necessarily need physical access to those items). If you find a device, don’t try to remove it on your own. Many hidden cameras, audio bugs, and GPS devices are sensitive. If you want to use the data to hopefully find out who is behind this and possibly even prosecute them, you need the device intact. Call Spy Catchers immediately at 1-800-373-8726. We’ll come to you and help you remove and preserve the device.